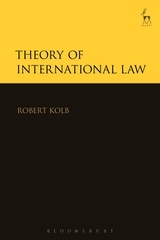 Robert Kolb, one of the leading international scholars of his generation, offers a seminal survey of the question of peremptory international law. 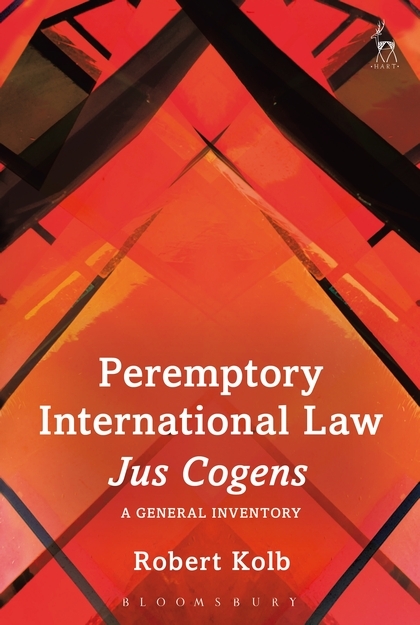 The author analyses and systemises different questions, such as: the typology of peremptory norms beyond the Vienna Convention on the Law of Treaties; here he distinguishes between 'public order' jus cogens and mere 'public utility' jus cogens. Furthermore, what about relative jus cogens, such as regional jus cogens norms or conventional jus cogens norms? What about some consequences of jus cogens breaches in the law of State responsibility: are they themselves jus cogens? Thus, can individual war reparations be renounced by lump-sum agreements? 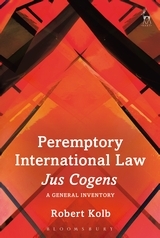 What happens if different jus cogens norms are in conflict? 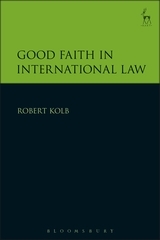 Is there a difference between the scope of jus cogens in inter-State relations and its scope for other subjects of law, such as the UN and its Security Council? Is jus cogens necessarily predicated on the concept of a hierarchy of norms? What is the exact extent of the peremptory nature of some rules? Sometimes, only the core of a principle is peremptory, while its normative periphery is not. Also, in the use of force, the peremptory character of the provision is compatible with agreements falling under the recognised exceptions, such as collective self-defence. These and other unusual questions are discussed in the present book.